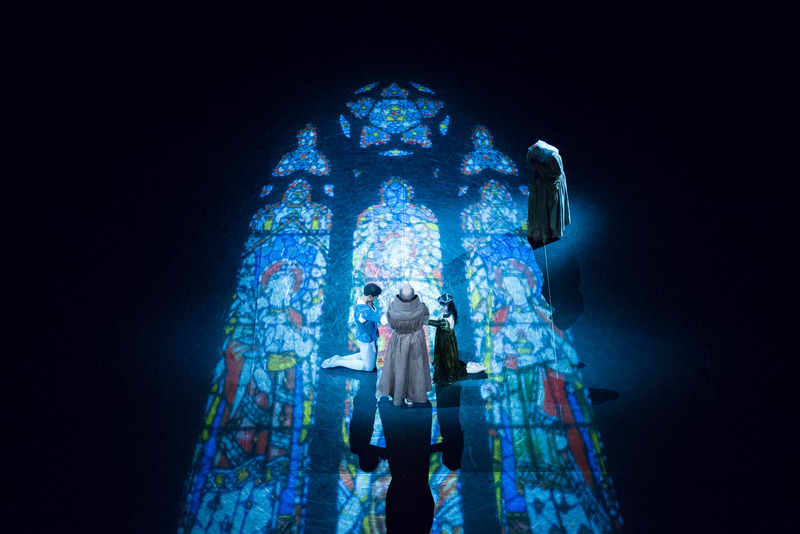 In terms of pure spectacle, Derek Deane’s Romeo and Juliet still cuts the mustard. Created in 1998 it manages to breathlessly fill the enormous space of the Royal Albert Hall, even when there’s only two people on stage. In truth, there’s not a great deal of memorable choreography but some excellent leading performances gave the show the heart it needed. Tamara Rojo was the original Juliet for this production when a young dancer with English National Ballet and now she’s back performing with her great foil from The Royal Ballet, Carlos Acosta. They have an innate chemistry when working together and they were terrific in their artistry and dramatic intent, bringing a well of powerful emotion from the suicidal climax. Acosta seemed very relaxed and happy to be dancing and his first act pas de trios with his nephew Yonah Acosta and rising star Junor Souza was full of joie de vivre. The three of them made a good team – Acosta junior’s acting skills have come on leaps and bounds and Souza showed once again his easy grace and natural elegance. Rojo remained the key figure throughout; the manner in which she pleaded to her father to set her free as she danced her unwilling duet with Daniele Silingardi’s Paris was heartbreaking. She still brings an absorbing intensity to her dancing that’s matched by few other others. Almost inevitably, perhaps, some of Deane’s crowd scenes, especially in the first act, are over-crowded and the in-the-round nature of the production means that attention isn’t always held in the right place (at one point I found myself engrossed in the goings-on of a little stall selling shirts instead of watching Romeo and his friends busy sowing the seeds of their own destruction). The crowds were used best when organised into strict patterns; the way the warring families were split into straight lines and diagonals for the ballroom scene were cleverly used to almost drive Romeo and Juliet into each others’ arms. The Orchestra of English National Ballet sounded fantastic under Gavin Sutherland, Roberta Guidi di Bagno’s costumes looked great and Howard Harrison’s lighting was generally restrained and effective (especially blood-red the entrance of the Montagues and Capulets). All in all, a good show and there’s some excellent casts in this season’s run – including Daria Klimentová’s farewell performance on 22 June with her trusted partner Vadim Muntagirov. Romeo and Juliet runs at the Royal Albert Hall until 22 June 2014. Tickets and more information can found on the English National Ballet website. 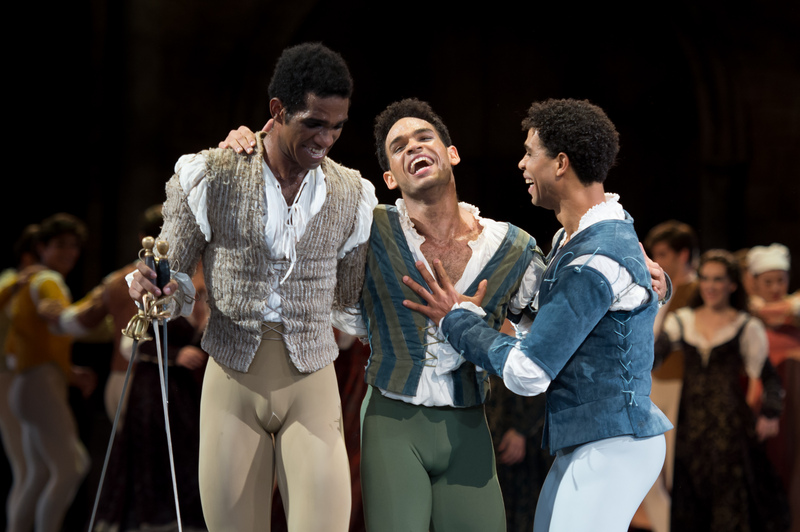 This entry was posted in Carlos Acosta, English National Ballet, Junor Souza, Romeo & Juliet, Royal Albert Hall, Tamara Rojo, Uncategorized, Yonah Acosta and tagged Carlos Acosta, Derek Deane, English National Ballet, Junor Souza, Romeo & Juliet, Royal Albert Hall, Tamara Rojo, Yonah Acosta. Bookmark the permalink.